It the last weekend in April! We know, we can’t believe it either. 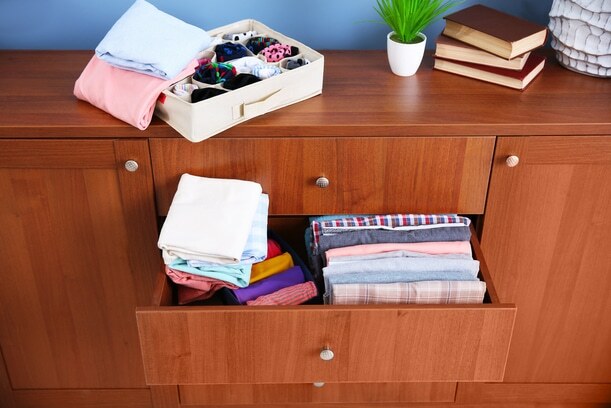 If you’ve already done your spring cleaning, this post is for you. Okay, here we go – Our last post on this year’s Spring Cleaning series. Your home should be free of clutter and you should be feeling dandy after dropping your donations at your local Goodwill. To maintain order after it has been established, you must be consistent and intentional. This is why it is important not just to get organized, but to implement processes that allow you to stay that way. You may even have time to make your bed in the morning which makes it so much nicer to crawl into at the end of the day. Plan your meals ahead of time so that you know what the prep times are, have the groceries that you need and can make the most of your evening when you return home after a long day. Find a balance between purchasing new items and donating the old. Deal with incoming mail daily or weekly or make a plan for dealing with it and the paper piles will disappear for good! My clients are always surprised by the difference it makes to de-clutter, simplify and organize. By getting rid of excess and being mindful as you structure your home management plan, you can be surrounded by the things you love and find what you need at the same time. Then you can “Live Happily Ever After”… and who doesn’t want to do that? !